These little guys are four days old now and their colors are coming in. This is my first time breeding Esther to Timmy, and I’m a little surprised with the results. 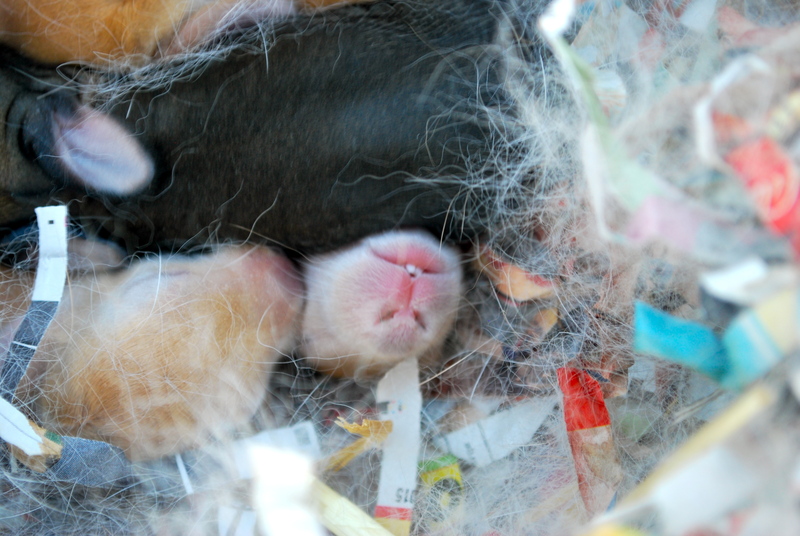 Four of the nine kits are a dark agouti or wild type, which is not a shock. The other five look for all the world like purebred Creme d’Argents! Although his phenotype is black otter, I know that Timmy carries some light genes because he produces a lot of blues and has even sired a tort. This breeding confirms that even further. I’m not sure if these fawn kits will show silvering like their mom, though I do know it’s a dominant trait and almost always shows up when she throws blacks, although does not appear on the agoutis. 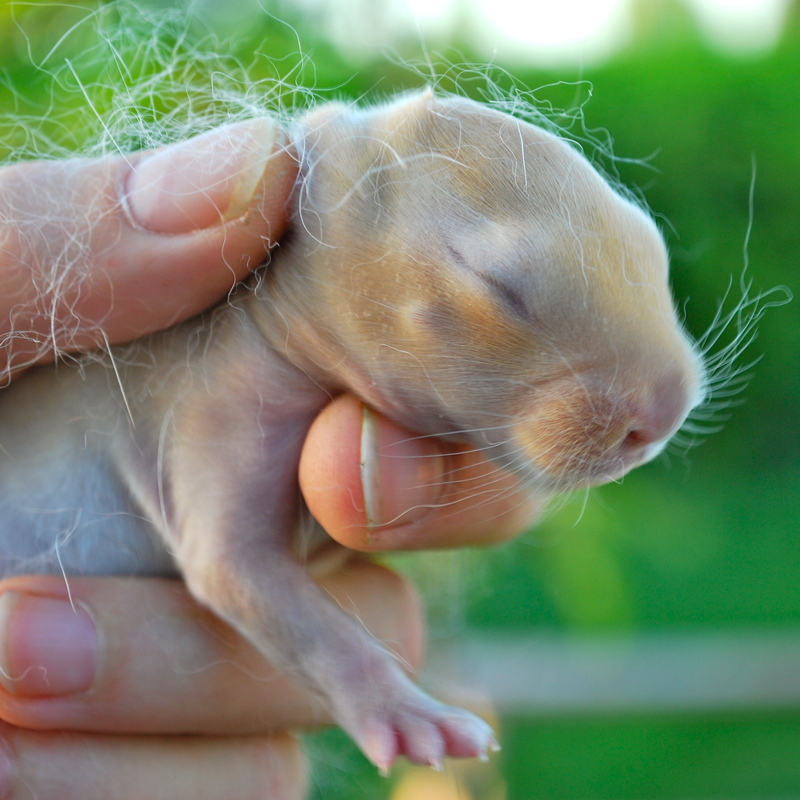 If the fawn kits do grow up to look like purebred Cremes, I might hold on to a couple. It’s not an ideal situation, but there’s nowhere else to get a Creme d’Argent around here and my first effort to breed pure Cremes failed, with two kits that were both ultimately infertile and no further access to the buck who was owned by another breeder. 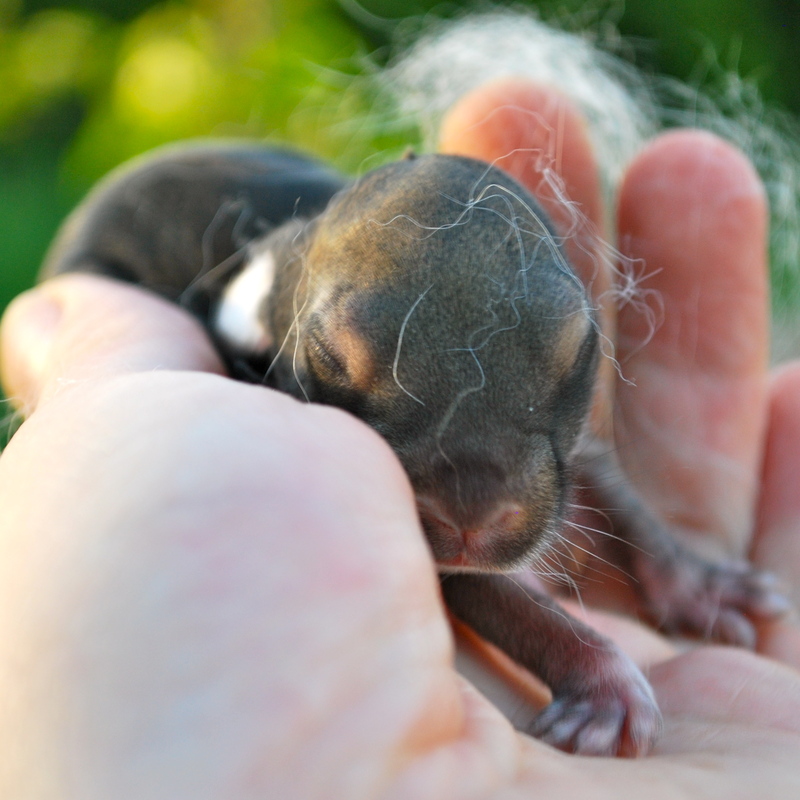 Of course breeding these kits would likely have some recessive traits show up like Rex fur, but I can weed those out. I’d be interested to see what a sibling breeding would produce. Maybe I can create my own Creme d’Argents? 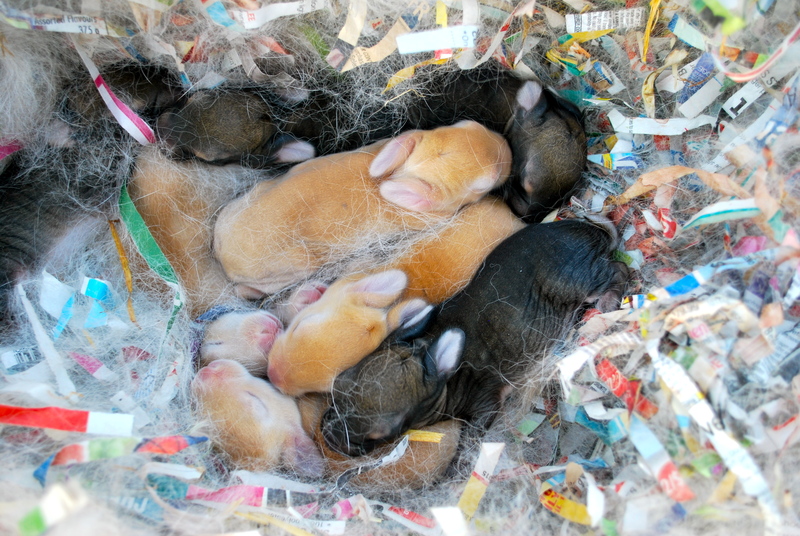 Every commercial rabbit breed today began as a mix of breeds. 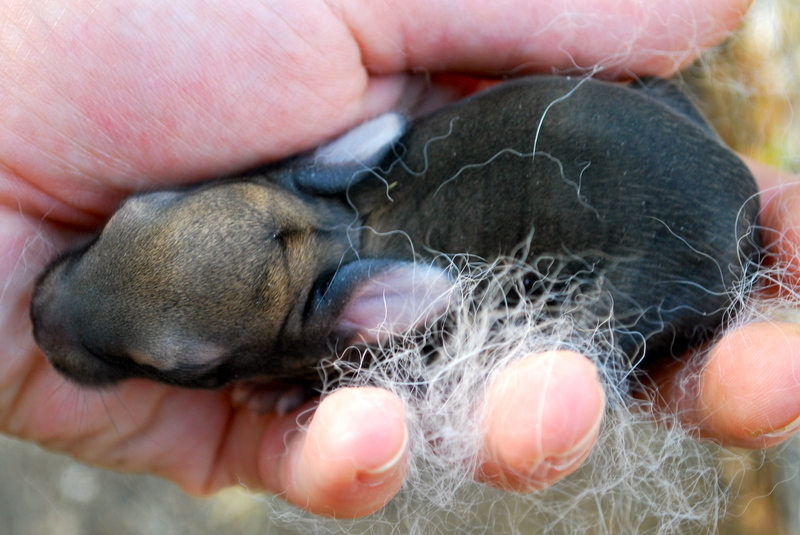 Occasionally people will toss a different breed of rabbit into their purebred program to improve some trait or reduce another. As long as everything is recorded on the pedigree I don’t see a problem. I wish I had more cages so I could do more breeding experiments. 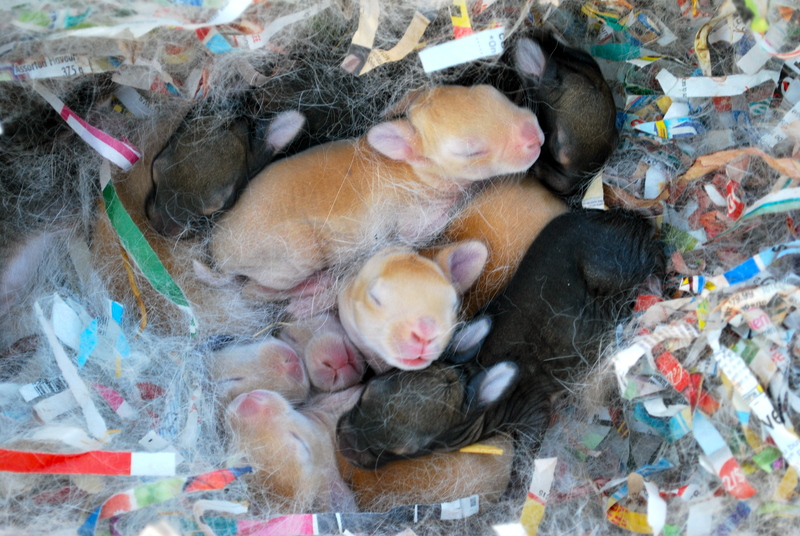 It’s a great, first-hand way of understanding rabbit coat color genetics, and I like being surprised by interesting kits. 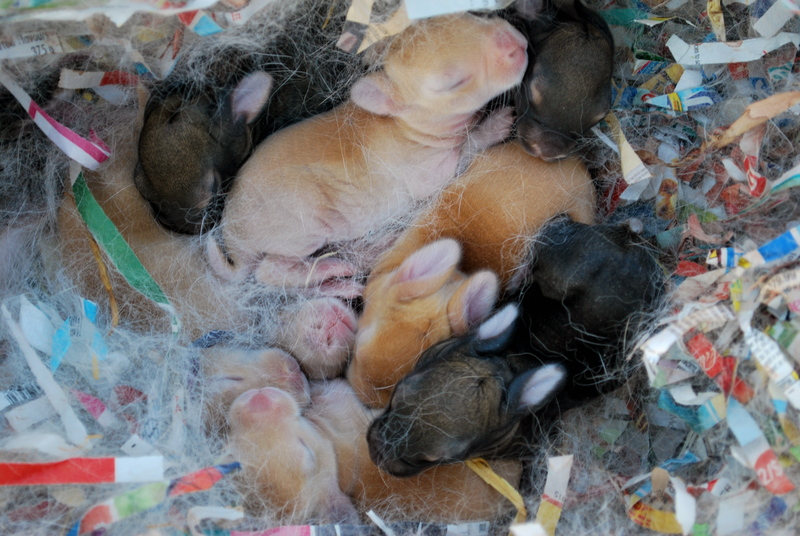 With solely purebred bunnies, you pretty much get the same thing every time. 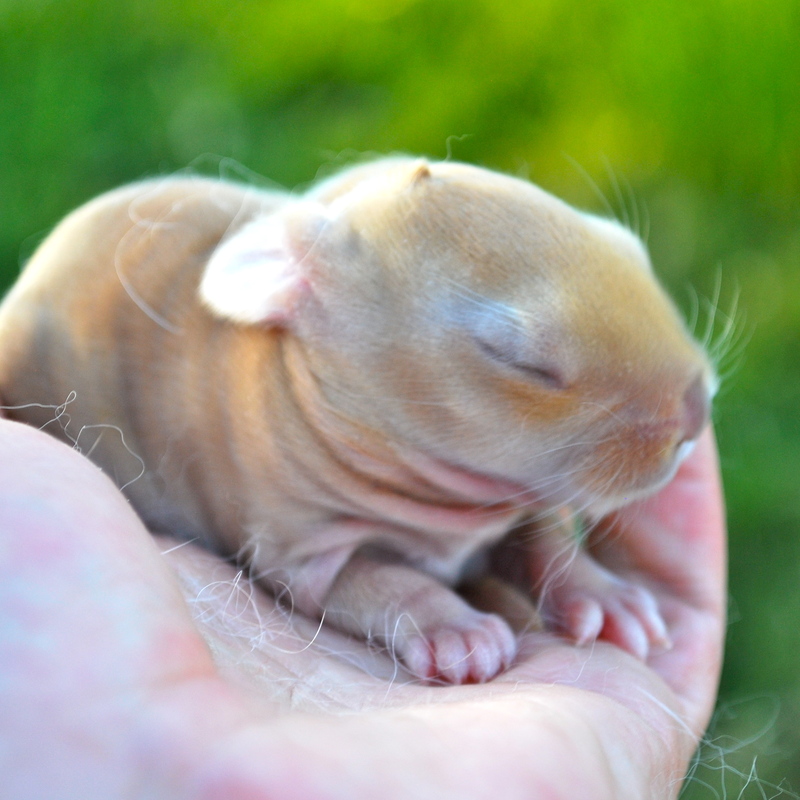 This entry was posted in rabbits and tagged coat colors, creme d'argent, creme d'argent x standard rex, hybrid meat rabbits, linebreeding, rabbit genetics. Bookmark the permalink.